In today’s busy world it’s important you do all you can to keep your healthy diet on track. Meal planning is a simple, efficient and goal-based way of doing just that. If it’s not the stress of daily exercise, it’s the worry about healthy eating that’s on your mind. How are you going to fit it all in with such a busy lifestyle? Not only that; when the weight loss eventually plateaus, there’s the worry about progress, and at every turn there’s temptation – cakes, cookies, pizza. Often referred to as ‘meal prep’ (short for preparation), meal planning is a great way of staying true to your health-based goal. When your food is right there in front of you, you’re less likely to make bad decisions. You can track your calories and adapt your meal to how you like them. Preparing your meals in advance leaves nothing to chance. Everything you need is ready and waiting, tracked and quantified exactly how you need it to be. Ask any bodybuilder, athlete or serious fitness enthusiast about the hardest part of staying lean and they’ll all say the same thing…. diet. Hitting the gym on a dark, cold morning isn’t the easiest thing in the world, but there’s just something about keeping on top of your calorie intake that seems frustratingly difficult. Well, here’s the answer…. meal planning! How often have you found yourself in this scenario? 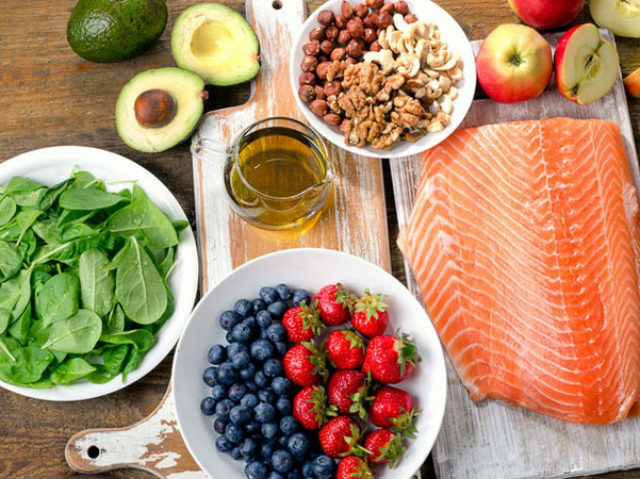 You’re trying your best to stay on top of your calorie-controlled plan. You left the house late and it’s been rush, rush, rush all morning. It’s time to grab some lunch, only you’re later than normal and the healthier deli sandwiches are gone. 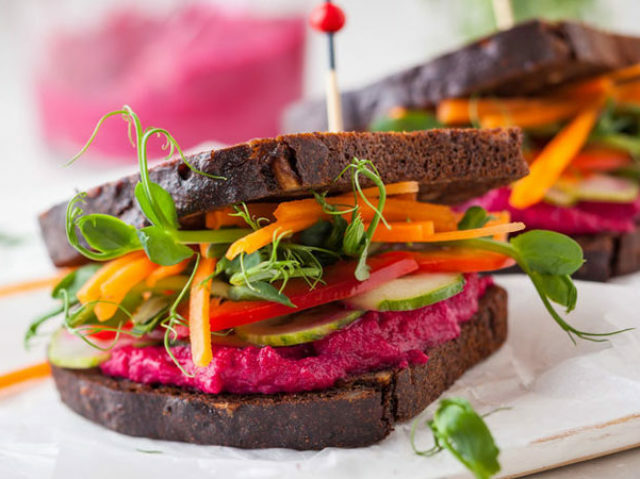 All that’s left are a few high-calorie meals which you know don’t fit your plan… but with only 15 minutes before your next meeting you’ve no choice but to grab it anyway. In today’s modern but furiously paced lifestyle it’s easy to ‘make do’ with what’s available. And that doesn’t always work – especially when things are out of your control. You end up with a meal that’s way out of scope for your calorie count. It doesn’t mean your diet is ruined – but it does make things much harder to reign in and gain control again. Planning your meals in advance saves you time and effort in the long run. It helps to cut out temptation, cravings and general ‘noise’ caused by dietary distraction. Having a pre-planned meal right there by your side helps to keep you on track. No need to scout out a healthy meal from a local shop. No need to calculate calories or macros or see how it fits into your daily allowance. 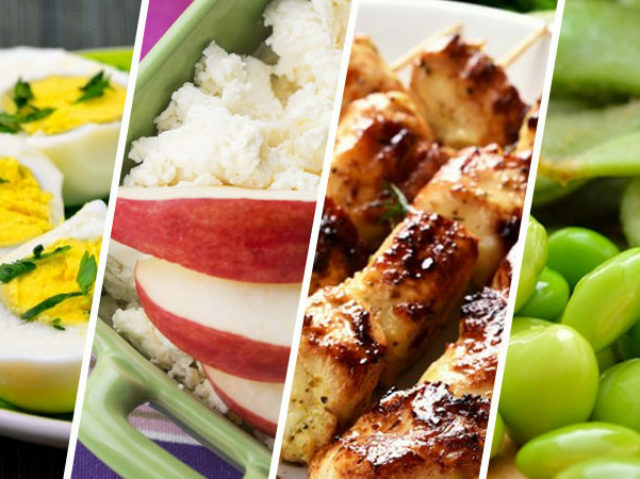 Without a doubt, meal planning is the most under-rated, beneficial dieting tool you have at your disposal. It helps you control your calories, optimize your nutrients intake and blank out the temptation. Like any other aspect of a healthy lifestyle, meal planning takes, well… planning. Some people have it down to a tee and others struggle to make it fit the lifestyle. Jumping straight into meal prep without the right tools can put the brakes on right from the beginning. Okay, you’re mega motivated right now. You want to get on with meal planning immediately and start to take advantage of the benefits. But you need to get the right equipment first. Being organised right from the beginning makes complete sense. The last thing you want is to spend time cooking up a week’s worth of meals only to realize you’ve nowhere to keep them. Or get half way through and realize you’ve not got enough saucepans for everything. It might seem simple, but sometimes it’s easy to overlook the basics. The most time-efficient way of preparing meals is in batches. Many people use Sunday night to prepare a full week’s worth of meals, maximizing efficiency. It doesn’t matter when you do it though – whatever fits your lifestyle and schedule. 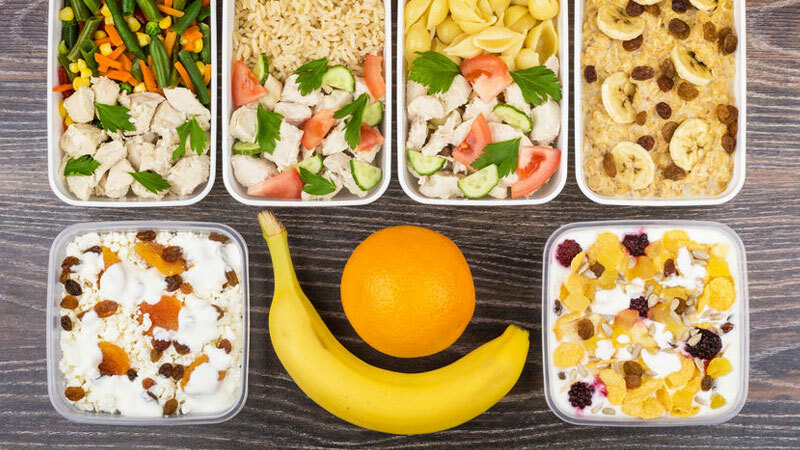 There’s nothing wrong with preparing meals two or three times per week – but less time in the kitchen is never a bad thing. All you need to do is plan your calendar of meals for the week, cook off what you need and separate it into containers. Freeze the foods for the back end of the week and refrigerate the meals you plan on using over the next day or two. 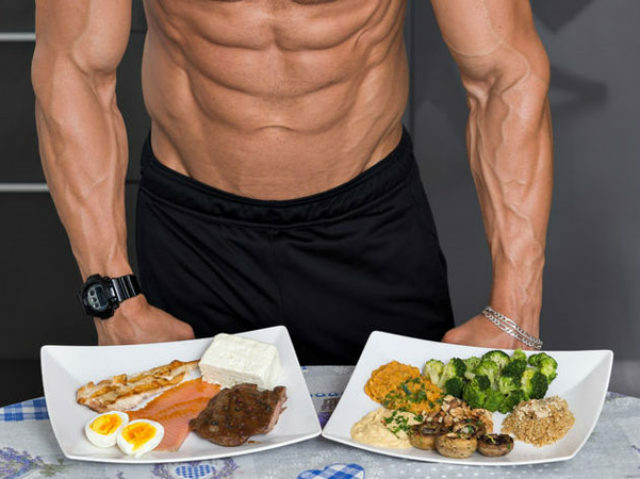 Bodybuilders love the infamous ‘chicken, rice and broccoli’ approach. And hey, there’s nothing wrong with that – it’s a low-cal, balanced meal with loads of nutrients. But it’s boring as hell eating the same thing day-in, day-out. Being inventive with the meals you cook and the foods you eat helps to keep you motivated. It maximizes diet success and gives you a full spectrum of vitamins and minerals you might miss out on by eating the same thing every day. Look for recipes if you need ideas and save them in a scrapbook for future reference. 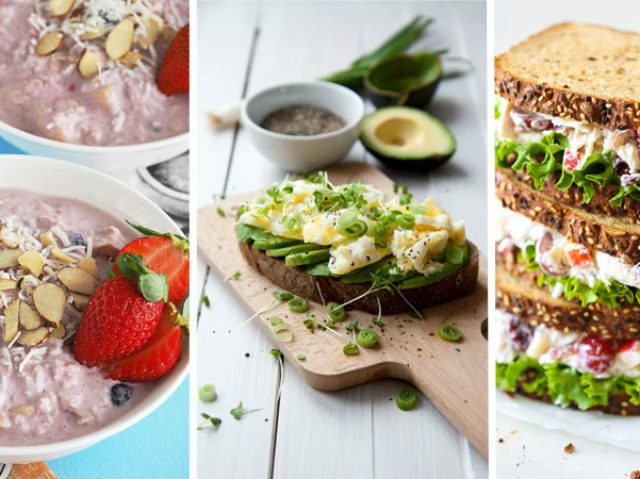 Dieting doesn’t need to be boring! Meal planning can be overwhelming if you’re not used to it. You’ve got saucepans boiling over here, an oven full of ingredients there, and if you don’t take those vegetables out of the pan now, they’ll end up soggy and watery. It’s all go! Cooking can be a stressful ordeal for a beginner – especially when it’s a few days’ worth of meals in one go. Smarting small with one or two meals is a good way of building your ability and confidence in the kitchen. Avoid overly-elaborate recipes in to begin with, and just focus on what you know. Even if it’s steaming a bit of veg, microwaving some instant noodles and cooking some meat in a pan initially, you can build up naturally as you get better. It’s great being able to mix, match and choose beautiful meals for the week. But let’s not forget – the idea here is to optimize fat loss and health, not win an award for taste or presentation. Weighing, tracking and calculating how much you need in each meal is a sure-fire way to see the scales swing to the left. It’s calorie intake that will either make or break your journey. This is where measuring cups, weighing scales and tracking apps come in useful. It’s easy to overeat scrumptious food – so being objective about portion control is a must. All you need to do is calculate your individual calorie intake and daily ‘allowance’. The rest is plain sailing. One of the best most time-efficient kitchen inventions of the last 60 years or so is the slow cooker. You literally throw your ingredients into the pan, whack up the heat and leave it to cook through for a few hours. You can make soups, stews, curries, chili con carne and hundreds of other tasty meals. ‘One pot’ meals are definitely the way forward for a serious meal planner. Slow cooking saves hours and hours or prep time. And with both medium and hot settings as standard you can time your meals to the minute, hours in advance. You don’t have to cook everything from scratch when you’re meal planning. There’s absolutely nothing wrong with taking some shortcuts here and there. 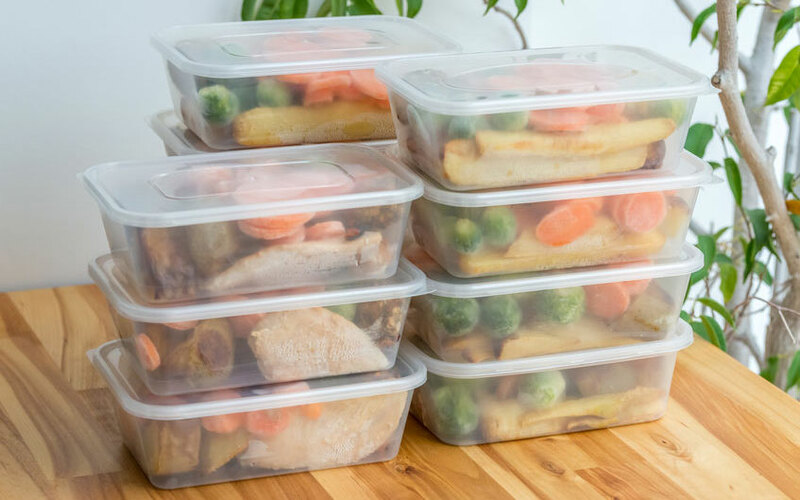 Okay, some highly preserved, hugely-sweetened foods won’t fit into your healthy lifestyle, but pre boiled potatoes, packet rice, cooked meats (rotisserie chicken is always a winner) and packaged salads are a great way to save time. Pre-cut onions, sliced cheese, baked bread, frozen berries, bagged vegetables…. they all have a place. There’s a time and a place for effort-saving techniques. And with so much to think about in your busy lifestyle, this is a shortcut not to feel guilty about. Meal planning is a great way to make your diet a success. It’s a time-saving, energy-channeling way of maximizing nutrition and sticking to the plan. You’ll not only avoid temptation from takeouts and high-calorie alternatives but make food exactly how you like it.